> any hidden intentions (at least, it seems so to me, knowing that you're honest person). Sure that publishing date wasn't 2018-04-01? thank you for your further explanation of your team's Code of Conduct. After a bit of research on the Internet, everything makes sense. component of the CoC's contentiousness. >> I saw it coming, tried to warn you guys in private. only by reading the preface closely is it clear what's what. > post that it's serious. > component of the CoC's contentiousness. > >>> Looks like that happened this morning. > >> I saw it coming, tried to warn you guys in private. > > participation in the SQLite community. > > demonstrate professional behavior and all is well. > > So the question then arises: If strict adherence to the Rule of St.
> > Benedict is not required, why even have a CoC? > > it provide more examples. > > better to be open and honest about who we are? > > Thirdly, having a written CoC is increasingly a business requirement. > > those who were specifically curious. > > modern CoCs that I so dislike. > > up if you have a plan. The SQLite doc is English only because that's DRH native tong (I assume). > The SQLite doc is English only because that's DRH native tong (I assume). use English on the Internet so as many people as possible can read it. document. And again, English is a good choice to reach as many as possible. what some people are imagining. Adding more easy-to-grasp context to the CoC would help IMHO. > created by some purple-headed feminist with political motives. As a purple-headed feminist (yes, literally; got it dyed last week, though the color is subtle) I am rolling my eyes at this. I haven’t see any CoC with political motives being “pushed” to open-source communities. The ones I’ve seen basically boil down to Be Excellent Unto One Another, similarly to SQLite’s. The difference is that they go into _specifics_. And why do they do that? Because of many incidents of harassment/discrimination against people of specific minority [in the geek community] groups. Vague blanket statements like “Don’t be evil” or “Be excellent to each other” don’t work (here or anywhere else.) *Everyone* believes they’re good, *everyone* believes they’re doing good, everyone believes that when they get snarky or take action against someone, that it’s because the *other person* deserved it, or maybe that it was just in fun and the other person shouldn’t be so sensitive. Even the [insert name of horrible group that committed atrocities] felt that way. Being specific is important. If you think it’s some kind of crazy political extremism to prohibit harassment based on race, religion, gender or sexual orientation, I can’t help you there, but just try to keep in mind that the majority of people do think so and have asked that you not do it. At least they have on other sites; I can’t tell about this one, because the original author of the CoC certainly felt it was OK, and I don’t know what DRH’s motives were for reproducing his words verbatim. From a users perspective, if the utility has something to report "home"
> packages at this site." How did you take a screenshot while Windows was hanging/recovering? > How did you take a screenshot while Windows was hanging/recovering? > Probably a virtual machine. > > How did you take a screenshot while Windows was hanging/recovering? > > I call foul! exact same problems you're highlighting "Don't be evil" has. Why? a project may be further defined and clarified by project maintainers." attention/advances are fine as long as they're welcome? >> created by some purple-headed feminist with political motives. > As a purple-headed feminist (yes, literally; got it dyed last week, though the color is subtle) I am rolling my eyes at this. > I haven’t see any CoC with political motives being “pushed” to open-source communities. The ones I’ve seen basically boil down to Be Excellent Unto One Another, similarly to SQLite’s. The difference is that they go into _specifics_. And why do they do that? Because of many incidents of harassment/discrimination against people of specific minority [in the geek community] groups. > Vague blanket statements like “Don’t be evil” or “Be excellent to each other” don’t work (here or anywhere else.) *Everyone* believes they’re good, *everyone* believes they’re doing good, everyone believes that when they get snarky or take action against someone, that it’s because the *other person* deserved it, or maybe that it was just in fun and the other person shouldn’t be so sensitive. Even the [insert name of horrible group that committed atrocities] felt that way. > Being specific is important. If you think it’s some kind of crazy political extremism to prohibit harassment based on race, religion, gender or sexual orientation, I can’t help you there, but just try to keep in mind that the majority of people do think so and have asked that you not do it. At least they have on other sites; I can’t tell about this one, because the original author of the CoC certainly felt it was OK, and I don’t know what DRH’s motives were for reproducing his words verbatim. it's your joint and it's such a good place, friendly and mostly respectful. > Or a capture card. > > Probably a virtual machine. 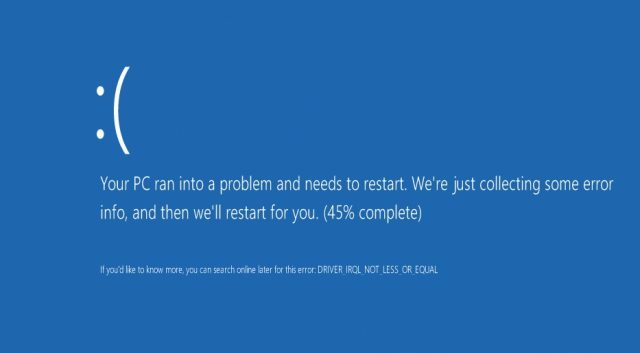 > > > How did you take a screenshot while Windows was hanging/recovering? > > > I call foul! > it's your joint and it's such a good place, friendly and mostly respectful. My original CoC is still there. It just changed its filename. troubled with the Benedictine Rule being called a "Code of Conduct". minutes once I figured out what to do. Who know it was that easy? > > somewhat annoying 'free will, free speech ' ethic has rust on it! > My original CoC is still there. It just changed its filename. > troubled with the Benedictine Rule being called a "Code of Conduct". > minutes once I figured out what to do. Who know it was that easy? made me laugh: "Speak no useless words or words that move to laughter". love a good grudge, so I'll hang on to my best ones. And my addiction to wine. The media "keep death daily before your eyes", so I can ignore that one as well. a few more of them.